We present an exclusive range of baby care products that been designed to provide babies with a more secure and cozy environment. 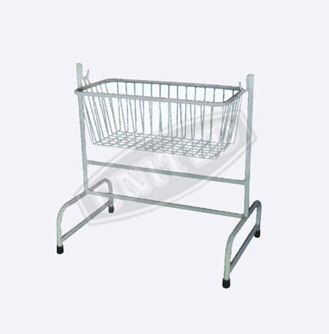 These baby care products are made from quality material with special hygienic coating. 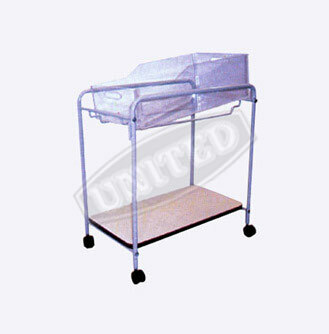 Our range of baby care product includes baby bassinet and cradle in different sizes and specifications. 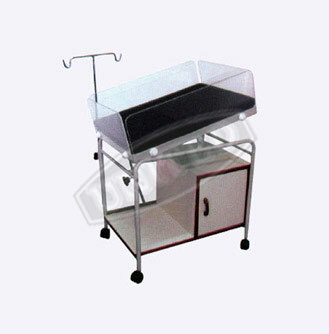 We can also provide customization of baby care products based on the requirements of the clients. Laminated cupboard with plate form. 5 cms castors I.V. Rod. Finish : Pretreated and Epoxy powder coated. Stand fitted with PVC stumps.